The November issue of Landwrap has a number of updates connected to the Land Transfer Act 2017 and the news that Landonline will be progressively rebuilt in-house by LINZ. Landonline will be closed for the summer holidays from 10pm Monday 24 December and will reopen at 6am on Thursday 3 January 2019. The Land Transfer Act 2017 (the Act) is now in force. The Act modernises the law that governs how land ownership is registered in New Zealand. It simplifies the legislation to make it more accessible, maintains certainty of property rights, and enables the register to be managed electronically. Please go to our news article or Land Transfer Act 2017 page for more information. The Registrar-General of Land has published new standards and directives that affect practitioners who certify electronic instruments. These new standards and directives came into effect on 12 November 2018. Before making certifications relating to client authority and verification of identity, practitioners must satisfy the requirements set out in LINZS20018 Authority and Identity Requirements for E-Dealing Standard 2018 (Standard) and LINZG20775 Authority and Identity Requirements for E-Dealing Guideline 2018 (Guideline). The Guideline describes two ways in which practitioners can satisfy the requirements for identity verification – ‘safe harbour’ and ‘equally effective means’. Safe Harbour is considered best practice and when followed, constitutes reasonable steps for identity verification purposes. Sighting and copying a client’s original passport or NZ drivers licence (and, where necessary, obtaining a connecting document such as a rates demand for a high risk transaction) will continue to be an effective practice for verifying identity. It may not always be possible for practitioners to use the Safe Harbour, and instead they may choose to use an alternative method to verify identity, referred to as Equally Effective Means. suitable delegates for clients within and outside of New Zealand. In addition, you will also see an update to the legislative requirement in section 4. We recommend that you familiarise yourselves with the Standard and Guideline, and update your office template A&I forms (and any other templates) to reflect the updated requirements. What A & I forms can I rely on/use? If an A&I form was signed prior to 12 November, practitioners can continue to rely on that A&I form and do not need to go back to the client to have a new A&I form signed in the new format. LINZ has addressed this on our Land Transfer Act 2017 page along with other frequently asked questions about how the Land Transfer Act 2017 will be implemented, and the transition process to support it. From 12 November, Practitioners can continue to use the Landonline-generated A&I forms. Practitioners can also use the A&I form templates available on the Land registration forms page and on the Property Law Section website. Why do the Landonline-generated A&I forms look different to the A&I form templates? Only changes to section 4 and the Notes to the form were made to Landonline (NB the Notes to the form were updated in Landonline on 14 November). Changes to sections 3 and 5 will be included in the next Landonline maintenance release in 2019. Practitioners should not be concerned that the Landonline-generated A&I forms will, for a short time, be out of sync with the A&I form templates. The changes are not material and merely provide guidance. The changes displaying in sections 3 and 5 of the A&I form templates are also reflected in the guidance in the Notes to the Form. As has always been the case, practitioners can edit the A&I forms (to remove or include the guidance as the case may be) as long as the content of the form is not reduced and the requirements set out in the above Standard and Guideline are complied with. LINZG20786 Treaty Claims Settlement Acts Guideline 2018. While most of the changes are minor (eg to fix typos, references, hyperlinks, etc. ), there are a few changes worth noting as shown below. Please familiarise yourselves with the changes. The name of the New Zealand Law Society's Property Law Section Property Transactions and E-Dealing Practice Guidelines (PLS Guidelines) has been corrected throughout the guideline. The definitions of “Private Corporate” and “Public Corporate”. The wording in section 3.1.2 (f). The wording in section 4.1.1.2, final para. The wording in section 4.7, 1st para, 2nd bullet point. Table 1 in section 5. 1B Rely on expired acceptable photo ID in limited circumstances was removed as these Safe Harbour provisions are captured in section 4 of the guideline. The wording in section 6.1.2, 2nd para. The “Identity verification decision tree” in Schedule 3. The name of the “New Zealand Law Society's Property Law Section Property Transactions and E-Dealing Practice Guidelines (PLS Guidelines)” has been corrected throughout the document. The definition of “Public Corporate”. Under section 34(3) of the Land Transfer Act 2017, paper instruments can only be lodged by post, to one of the designated land registry offices of Land Information New Zealand: Hamilton office: Private Bag 3028, Waikato Mail Centre, Hamilton 3240 or DX GX 10069, Hamilton or Christchurch office: Private Bag 4721, Christchurch 8140. As communicated last week, from Monday 12 November 2018 any instruments with an attached image will have had their part signed status reverted back to “draft” and will need to be re-certified and signed. This was necessary to maintain the integrity of these instruments and to preserve non-repudiation. Any instrument with an image that was fully signed was not affected, so if any part signed instruments were fully signed before the end of Friday 9 November, their signatures and certifications were not cleared. Template instruments that had stepped down to LODGE due to added text, and any AUTO REG instruments that had a status of part signed, were not affected. They retained their part signed status, with any signatures and certifications intact. This is a reminder about how notice may be given to the Registrar-General of Land (“Registrar”) when, for example, a caveator needs to give notice that they have applied for a court order that their caveat is not to lapse; or someone who uses a right of way or other easement over someone else’s land needs to give notice that they object to their easement being extinguished. Section 222(1) of the Land Transfer Act 2017 says a notice may be given to the Registrar by posting it to a designated land registry office, for which he/she has specified the address, or in other ways if he/she has specified the notice can be given in those ways. • by post to one of the following offices of Land Information New Zealand: Hamilton office: Private Bag 3028, Waikato Mail Centre, Hamilton 3240 or DX GX 10069, Hamilton. Christchurch office: Private Bag 4721, Christchurch 8140. In October, Land Information New Zealand (LINZ) announced that it will progressively rebuild Landonline in-house to modernise its land information platform and services. LINZ believes this option will help deliver a reliable, accessible and secure platform in the future. Landonline is 20 years old and it’s increasingly difficult to maintain and enhance, is expensive, and slow to respond to changing requirements. Its core software is nearing the ‘end of life’ and is not recommended for further development. The new system will be delivered in four stages, known as tranches, over five years with a deliberately phased approach. Web-based search – this will give New Zealanders the real-time ability to search for and purchase products, such as copies of records of title and survey plans, directly from our website. Search Application Programming Interface – this will enable others to connect their websites and software directly to Landonline to search and purchase products. Notice of sale – this gives conveyancing professionals the ability to automatically notify territorial authorities that a sale has occurred when they have transferred a record of title in Landonline. Notice to mortgagee – this is the ability for banks/lenders to receive automated system notification when mortgages are registered. The programme to progressively rebuild Landonline will be complete in 2024. Overseas investment rules changed on 22 October and most overseas people can no longer buy residential property here. All buyers, including New Zealanders, now need to complete a Residential Land Statement, declaring their eligibility to buy. The Overseas Investment Office (OIO) recommends buyers discuss their eligibility with a lawyer or conveyancer before signing a sale and purchase agreement. People can make any sale and purchase agreement conditional on OIO consent or get pre-approval before they find a property to buy. The new rules don’t affect transactions entered into before 22 October. More information is on our Information for buying or building one home to live in page. Land Information New Zealand (LINZ) has finished a huge project to digitise about 15,000 survey field books – some dating back to the 1860s! 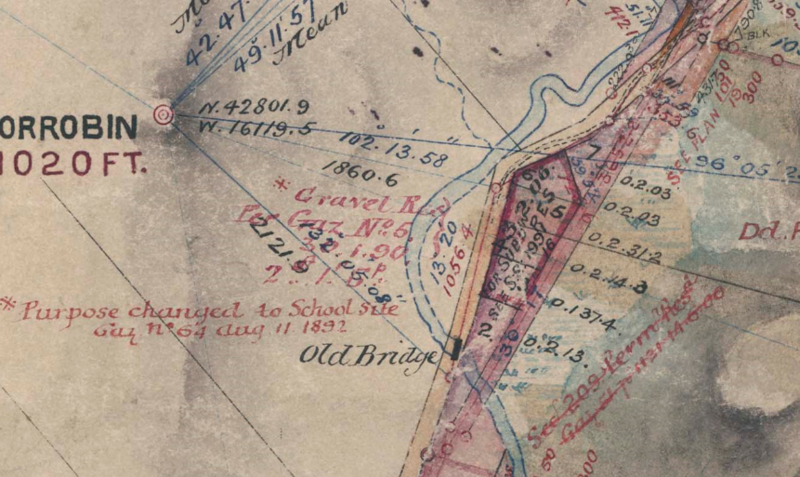 The field books include all existing cadastral surveyors’ books for the North Island Land Districts (Auckland, Gisborne, Hawke’s Bay, Taranaki and Wellington) up until 1971. This date was picked as that’s when metric measurements started to be used. “These books were used by some of the first surveyors to record what they found on journeys that took some of them into uncharted areas,” says LINZ Principal Cadastral Surveyor, Mike Morris. “They are a unique first written record of the New Zealand landscape and form the very basis of our property system. As part of the digitisation project, up to 150 books were handed over by a local surveyor in Napier. Many of these date from before 1931 and provide an excellent record of Napier before the earthquake – some of the few to have survived. “This is incredibly specialised work. Some of these books are very fragile so we’ve had to be very careful when scanning them,” adds Mike. The field books are now available online and browsable via the Recollect system. People can locate an individual book, browse through to select the pages they want and then download them. There is no charge for the searching or downloading – although physical books are still held by LINZ and completing an RMC will still be chargeable. We are working towards all field books being available through Landonline. Alongside the field books a considerable number of other items have also been digitised. These were the items assessed as being both heavily used and fragile. The 70,000 South Auckland Plan images have been loaded directly into Landonline – you will notice the detail and vastly increased readability. The Certificate of Title and Provisional Register images will be loaded into Landonline progressively, as the numbering and multiple pages make automated loading very difficult. If you want to request a new image, we will load the digital version up for you. LINZ has finished copying more than 300 roll plans for the South Island, using very large imaging to capture all the detail in high definition. The digitisation is being led by Archives with support from LINZ, Environment Canterbury and Ngāi Tahu. In the 19th and early 20th century, hundreds of long ‘roll plans’ were painstakingly drawn to map large areas. Some of these documents are up to 17 metres long so a special machine had to be created by New Zealand Micrographic Services to scan them. It’s labour intensive but important for historic preservation. Surveyors have filled these rolls with details of creeks, streams and Māori pa. Some of the images are available via the ECAN website with more information. Due to time and cost pressures we haven’t copied as many plans as we would like to but we will continue to look at these in the future. For now we are happy to have 300 of them completed, including many of the Black Maps and some of the early Reconnaissance Surveys of Otago and Southland. You can access the roll plans by using the Archives New Zealand ‘Archway’ site and searching for ‘roll plans’. Then follow the link for digitised items to the digital image. An update of geodetic coordinates (including heights) is planned for Landonline and the Geodetic Database over the weekend of 1-2 December. This update primarily incorporates improved modelling of the Kaikoura earthquake, but also includes additional data from geodetic surveys throughout New Zealand. The 2016 Kaikoura earthquake resulted in significant land movements across much of New Zealand. The majority of this movement was accounted for in a January 2018 update to Landonline and the Geodetic Database. Since that update, more geodetic data has become available which has enabled Land Information New Zealand (LINZ) to improve the modelling of this earthquake. This means that geodetic coordinates and their orders can be calculated more accurately. In addition, extra geodetic data has been incorporated into the national geodetic adjustment for the first time, which has been used to further improve the accuracy of geodetic coordinates throughout New Zealand. The update will improve the accuracy of coordinates in terms of New Zealand Geodetic Datum 2000, New Zealand Vertical Datum 2016 and some local vertical datums. The coordinate changes are generally small: for example, 98% of Order 5 and better marks have horizontal coordinate changes less than 2cm. Subject to successful testing, Landonline and the Geodetic Database will be updated from 1-2 December. Due to the small size of the horizontal coordinate changes at geodetic marks, no updates to cadastral coordinates are planned except for Kaikoura and its immediate surrounds in early in 2019. After the update, previous coordinates for a geodetic mark will still be available in the Geodetic Database by selecting the “Historical values” link for that mark.